Dear Online Marketer: Does your IT department hide from you when you want them to implement yet another new website tracking code? Does IT think that tracking codes are a low priority, or that installing them will break the website, so you have to wait for weeks or even months before anything gets done? And have you lost important data and delayed key marketing decisions as a result? If this situation sounds familiar to you, you might be interested to know that Google recently announced the launch of Google Tag Manager, a free tool designed to make both your life and the lives of your IT colleagues a lot easier. 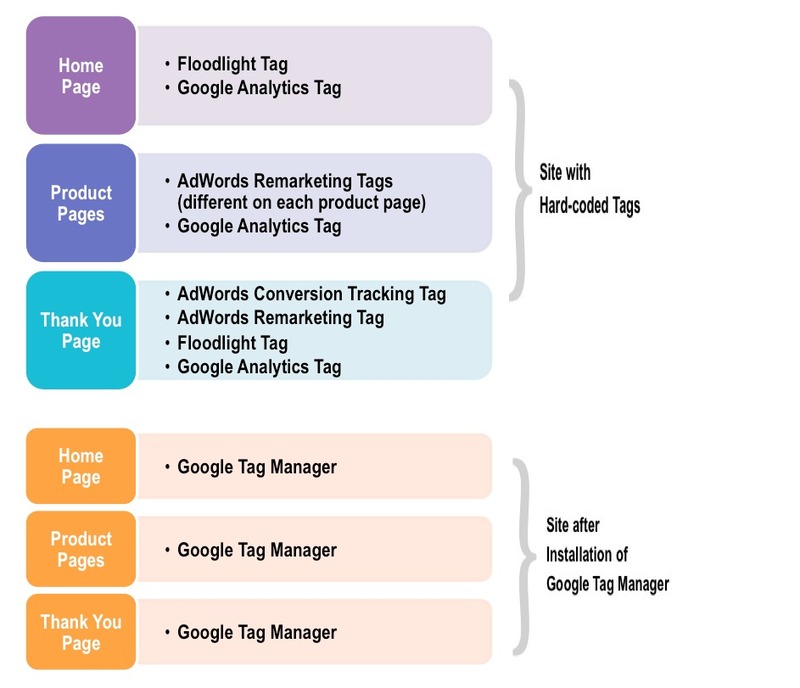 Google Tag Manager allows you to conveniently add, edit or remove tracking codes without needing any tech-savvy web developer’s help. All the IT folks will need to do is intall the Google Tag Manager on the website once. Then you’ll be able to manage your various tracking codes from the GTM Interface whenever you want, giving you the flexibility you need while freeing up the time of your IT workmates. The new tool has built-in tag templates for Google AdWords Conversion Tracking, AdWords Remarketing, Google Analytics and DoubleClick Floodlight. IT friendly – the tool was designed specially for marketers, but techy people will love it too. Easy testing – you can verify the tags are working properly, as well as checking errors before publishing any changes live. Empowers agencies – I personally love this one. At E-Web we use Google Tag Manager to manage our clients’ tracking codes, without having to bug our clients’ web developers. Rule driven – you can create custom rules to collect the information you want at the right time. Plays well with others – it supports both Google and non-Google measurement and marketing tags. You can read the full list of features here. Before you begin, please consider these points. 1. Go to Google Tag Manager and create your account. 2. Create a container for your site in the account you set up. 3. Get one of your tech-savvy colleagues to implement the container snippet to your site (just once) and remove any existing tags (this is very important!). Once the above has been done, you can start adding, editing and deleting tags at the right time to get the information you need. Dear IT friends: We really appreciate all your hard work and support. We are confident that this new too will free up your time and let you focus on your core tasks. We may still need a little help from you, however we will do our best to stop bothering you. If you are a bit anxious about (us) marketers adding, changing and deleting tags there is a tag Preview Mode, automatic error-checking that prevents publication if tags do not have the right format, and also error-recovery features. If this is not enough security for you, the interface has user-permission controls that will let you grant different levels of access. Are You Already Using GTM?